Clark Fork is a small rural city in Idaho's scenic Panhandle. Bordered by Washington and Montana this outdoorsman (and outdoorswoman's ) paradise is attracting the attention of people seeking a better way of life. 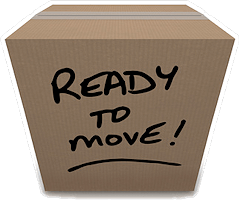 Getting there involves selecting an experienced local and long distance mover. 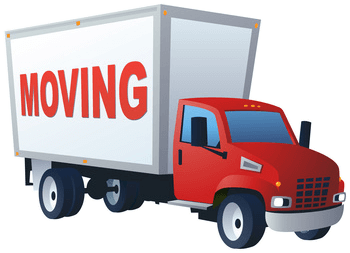 Whether you are moving to or from Clark Fork from a nearby city or long distance, getting your household goods to your new destination requires having it done by people who know where you are coming from and where you are going and have the experience to get you there safely and with your possessions intact. 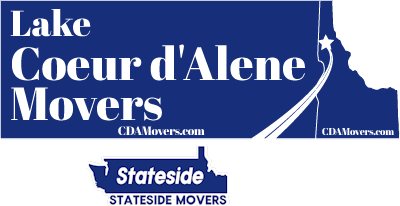 Lake Coeur d'Alene Movers / Stateside Movers LLC is the five-star movers you should consider. Clark Fork, Small Population on the Idaho "Frontier"
Clark Fork is a small but exciting city on the Clark Fork River, with a population of about 536 (last Census). The new neighbors are friendly, hardworking and live here because they want to. Outdoor recreation is the main feature with fishing and hunting, boating, and hiking at the top of everyone's list. People work day jobs in nearby Sandpoint or Bonners Ferry commute to Washington or Montana and still have enough time for fishing or just enjoying sunsets. Housing is affordable and many residents would never want to leave. One of the most stressful parts of moving is packing and getting organized. Estimating how many boxes, padding material, tape and how to safely pack everything from heirloom china to soccer balls and sneakers can wear anyone out quickly. We offer packing services and our experts will assist in safely packing, organizing which items to go in first and keeping breakable items unbroken. Loading the truck is a mixture of physics and logistics. You have to see the load mentally before you load it so everything fits. Making sure that heavy boxes and furniture are secured and don't shift is important to having everything arrive the way it left: as good as new. This takes experience and skill; Lake Coeur d'Alene Movers / Stateside Movers LLC supply these for your move. Clark Fork is an adventure and getting you there is our job. Stateside is a five star local and long distance move and we want to give you the best service you'll ever receive from a moving company.